Slowly but surely public opinion is turning against Brexit. Should we drop the whole idea or are we moving towards a second referendum on the terms? 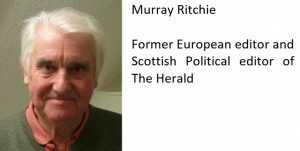 Murray Ritchie takes a look. Brexit is the most extraordinary crisis in post-war British history. If the Leave hardliners have their way and the UK quits the EU with no deal the result could be Scottish secession, a return to armed conflict in Ireland, and economic disaster. And that’s just for starters. Is it all really worth the risk? Even if Prime Minister Theresa May reaches agreement with the Brussels negotiators we won’t have as good a deal as we have now. How could we? Your confirmed Leaver believes any risk will be worth it in the long term. This credo is rather terrifying: bring on the crash because then we will be free to negotiate wondrous deals with anyone we can find (even with the world’s greatest protectionist in the White House). When 10 Downing Street’s spin doctors insist there are “no plans” for mobilising the armed forces to keep us fed and medicated you know just how worryingly things are shaping. “No plans” are the greatest weasel words in the political lexicon and normally mean their polar opposite. Your confirmed Leaver believes any risk will be worth it in the long term. This credo is rather terrifying: bring on the crash because then we will be free to negotiate wondrous deals with anyone we can find. If you discount voters in Scotland and Northern Ireland who want to remain in the European Union, the bulk of the UK was split right down the middle on Brexit. Finding reconciliation looks impossible. But that might just be changing. There is one idea that could bring a sort of peace and that is a multi-choice referendum when the terms become known. This second referendum, for which there is growing support, would ask three questions and could bring a much more decisive result than that 52 per cent-48 per cent split which has paralysed British politics. Cue cries from Leavers that the democratic wish of the people would be scandalously denied – and they have a point. The only plausible response to that is another chance to express another democratic wish. In a democracy voters are, after all, entitled to change their minds, even those who blundered into supporting Brexit without a clue about the consequences after a Leave campaign now discredited as an exercise in cheating and dishonesty. Put simply, Brexit should still be negotiated as the people decided it should be. But if the terms mean national economic suicide then surely those same people should have the chance to back off the whole wretched idea. This appears to be the way the Brexit torture is now travelling. Voters are sniffing disaster. According to a Sky Data poll this week 78 per cent of us think the government is doing a bad job on Brexit, 65 per cent expect a bad deal and 50 per cent now want a say on the outcome. As does parliament. BREAKING: Confidence in the government’s negotiating of #Brexit has plummeted, new polls from @SkyData find. 10% say @theresa_may‘s administration is doing a good job, compared to 23% in March. And if there was a three-question referendum offering a deal, no deal or staying in the EU, 59 per cent of us would choose, after second preferences are counted, to Remain, according to Sky. That scares and infuriates the hardline Leavers which is why people like Lord David Owen are now crying betrayal. Ignoring the will of the people, he warns, will bring “dire consequences” for elitist politicians. “The mood in the Brexit cities and towns will start getting ugly. These people don’t believe a word their politicians say. There’s an elite and they’re just not listening,” he fumes. Well, the good Lord’s reading of the Brexit mood does not seem to accord with changing opinion if the polls are right. 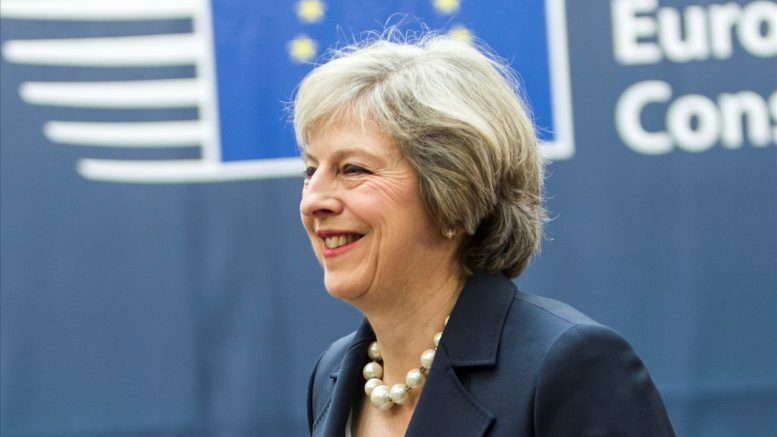 A loose but widening coalition of players is moving against Brexit. They include much of the Labour Party (if not its leader), the LibDems, many Tories and the influential Lord John Kerr, the mandarin who drafted Article 50 and now wants it withdrawn, not to mention the aforesaid public opinion. In a democracy voters are, after all, entitled to change their minds, even those who blundered into supporting Brexit without a clue about the consequences after a Leave campaign now discredited as an exercise in cheating and dishonesty. All this leaves Mrs May in a ghastly place. Electors know it. They understand she can’t call a general election – the last time she tried that it did not end well – because she’d almost certainly lose now that pro-Brexit Tories are returning to UKIP. If she decided to face down the Eurosceptics of all parties and dropped her opposition to a second referendum on Brexit’s terms she could at least say she was obeying the will of the people now that those same people have changed their minds. She might even win back some respect. What has she got to lose? Her premiership, obviously, but she will probably lose that anyway if the machinations in her party continue. Saving the UK from Brexit could secure her in Number 10. Her party might split as the Liberals did over Home Rule a century ago – but that is likely to happen after Brexit anyway. Never forget this fearful business began because of the Conservatives’ festering internal dispute. Mrs May could do a David Cameron in reverse and take the moral high ground, boasting she was putting country before party. No-one could seriously deny that was an honourable act. Saving the UK from constitutional and economic disaster would not be a bad legacy. There’s still time. Be the first to comment on "Will May put country or party first?"